Graders are essential to the success of diabetic eye screening (DES). 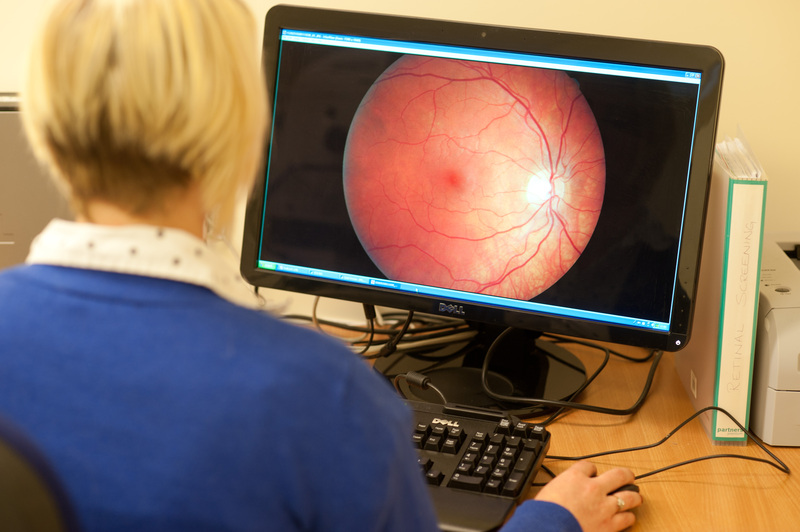 We rely on their expertise to detect sight-threatening diabetic retinopathy early in order to prevent sight loss. To ensure consistent high quality grading throughout the DES programme, we expect all graders to complete our national monthly test and training sets. These are sets of images of retinas that range from those with no retinopathy to those with advanced disease, which all have to be graded in line with the national grading criteria. We have been rolling out a suite of new reports to help screening providers and graders monitor performance in these test and training sets at individual and programme level. These reports flag up issues according to graders’ participation in the tests and their ability to identify referable disease correctly. This is the first time the DES programme has had a standardised grading performance monitoring tool. Regular use of the reports will mean programmes can react quickly to grading performance issues and take action to raise standards in their service. Commissioners will also be better informed about grading performance and QA teams will be able to offer support to programmes that are struggling. The new reports have been available to providers for a number of months. Since 1 January 2016 they have also been available to commissioning and screening quality assurance teams. Shelley Widdowson, National Grading Lead, and I have produced an overview of the new reports, which includes how to access them, what they look like and what the different flags and reports mean. For more information on the new grading management reports, see the national guidance document on GOV.UK.